Rail Overhead Line apprentices are trained to work with high voltage (1500 volt DC) transmission lines and associated equipment. You will be trained to work safely and competently at heights and around electrical equipment using track machines and lifting equipment. This role can be physically demanding. 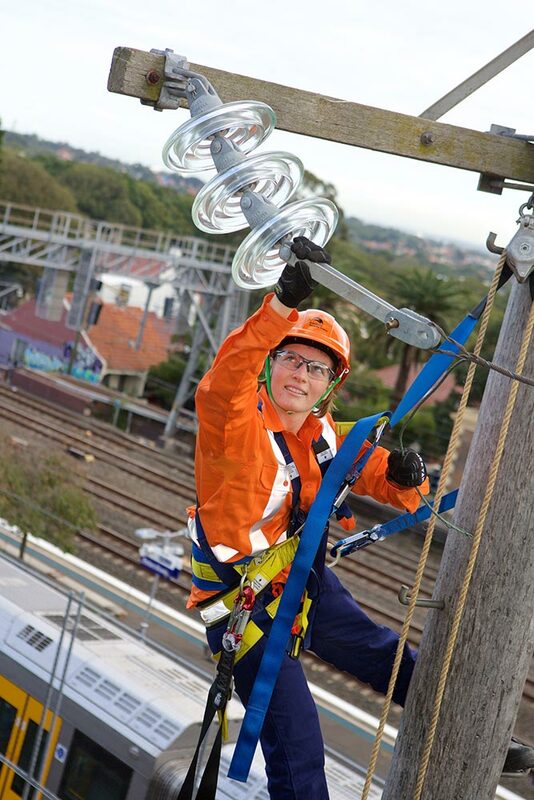 You will work in all types of weather and will be on-call 24/7 to ensure the electrical system keeps Sydney’s trains moving. You will be rotated every six months to build your skills in a variety of work contexts. Included in the training are licences to perform dogging and operate a boom lift. Signal Electrician apprentices are trained to work with hand, power and diagnostic tools to install, repair and maintain various electrical, mechanical and electro- pneumatic signalling devices. Some examples include track switching points, colour light signals, computerised and relay operated control systems, conventional and solar power supplies and multi-core cabling systems. You will be trained to work with DC and AC voltages, single and three phase circuitry. These vital systems ensure the safe movement of trains around the network. Included in the apprenticeship is training to qualify for an Electrician’s licence. You will be rotated every six months to build your skills in a variety of work contexts. As a Substation Distribution electrician you will help power our rail network. Substation Distribution apprentices complete a Certificate III Electro-technology Electrician (Electrical Mechanic). You will be trained to work in high voltage rail substations, installing and maintaining rectifiers, transformers, high and low voltage switchgear, and High Current DC equipment. You will also install and maintain general lighting, power services and electrical appliances. Included in the apprenticeship is training to qualify for an Electrician’s licence. You will be rotated every six months to build your skills in a variety of work contexts. Signal Fitter apprentices are trained to work with hand and power tools, and lathes and milling machines, as well as oxy-acetylene cutting equipment and electric welders to maintain and repair signalling equipment. You could be working trackside, in signal boxes or on train stations to perform a variety of duties. 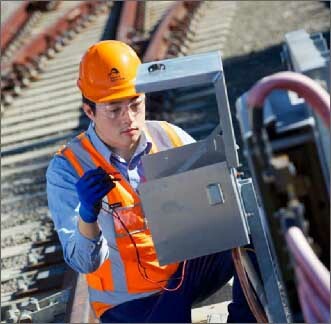 This signalling equipment is vital to the safety and efficiency of the rail network. Work may be undertaken in regional areas as well as the Sydney metropolitan area. Plant/Diesel Mechanic apprentices are trained to repair and maintain mobile plant including forklifts, small excavators, skid steers and attachments, heavy track maintenance machines and the diesel engines that drive them, plus training for high risk licences to operate this machinery. These machines are vital for track maintenance. You will receive one-on-one training from experienced tradespeople in mechanical, low voltage electrical, hydraulics and pneumatics, as well as Programmable Logic Control (PLC) skills. As this machinery is mobile, you will be called to regional areas to stand by in readiness to perform repairs if required. Cable Jointers are a branch of the electrical trades with direct non-rail equivalents in domestic, commercial and industrial work. As a Cable Jointer apprentice, you will be trained to install and repair joints in insulated power supply and control cables in underground pipes, trenches, and overhead supply systems. You will also be involved in building substations and installing major pieces of equipment. This specialised work will take you all over the rail network. The work is primarily outdoors, involves working at heights, in all kinds of weather, seven days a week, as required by Sydney Trains. 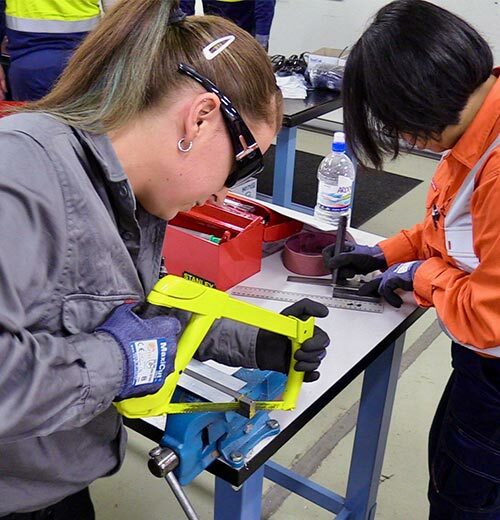 Telecommunications apprentices are trained to work with complex communications and control systems, using current and emerging technologies to provide critical services to rail operations. This equipment is responsible for providing train control and train visibility systems, wireless and fixed data network and voice communications, the passenger information system and asset condition-monitoring systems. You will be involved in fault diagnosis and the repair of critical systems to ensure safe, on-time operations. You will be rotated every three months to build your skills in a variety of work contexts. 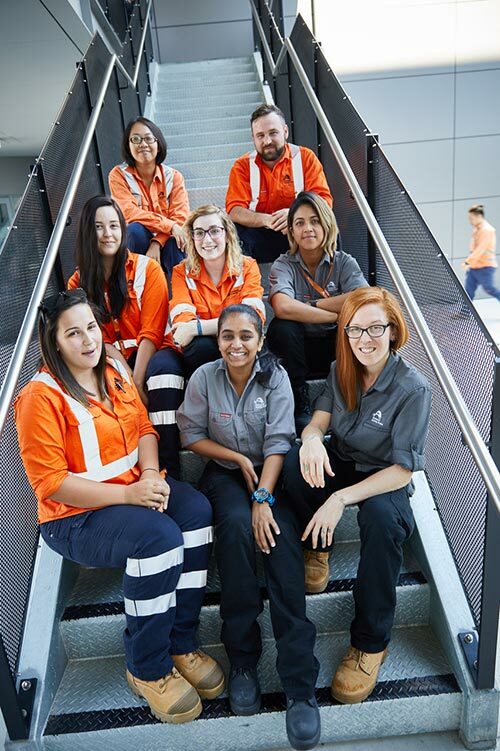 Rail Maintainer apprentices are trained to perform mechanical and electrical fault diagnosis, repair and maintenance work to keep the Sydney Trains network running smoothly and efficiently. 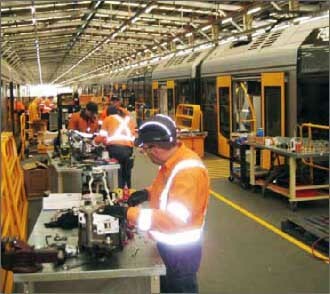 Working on both diesel and electric trains, maintenance and repair tasks will encompass systems like brakes, doors, radios, bogies, lighting and many others. Both mechanical and electrical training will be provided as part of this apprenticeship. 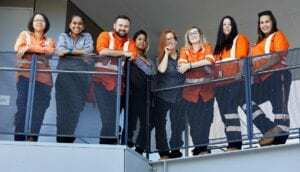 Sydney Trains has a merit based recruitment and selection policy, which takes into account the requirements of the job and the abilities and personal qualities of each applicant. Apprentice recruitment is a step-by-step process designed to ensure that you’re the right fit for the job, and that it is the right job for you. These steps are outlined below. Sydney Trains advertises each year on websites such as: I work for NSW, Transport for NSW Facebook, LinkedIn, and Seek. Testing under standardised conditions ensures that our selection decisions are objective and fair, and based on the candidate’s ability to perform the work. Applicants who are successful at job-related testing will be invited to attend an Assessment Centre, where they will complete two group-based activities and a written exercise. This is called a “multi-mini interview”. Instead sitting down in front of a panel of interviewers, candidates will visit four ‘stations’, and answer a single question at each one. Candidates will have five minutes at each station before moving on to the next. This is the final stage of the assessment process. 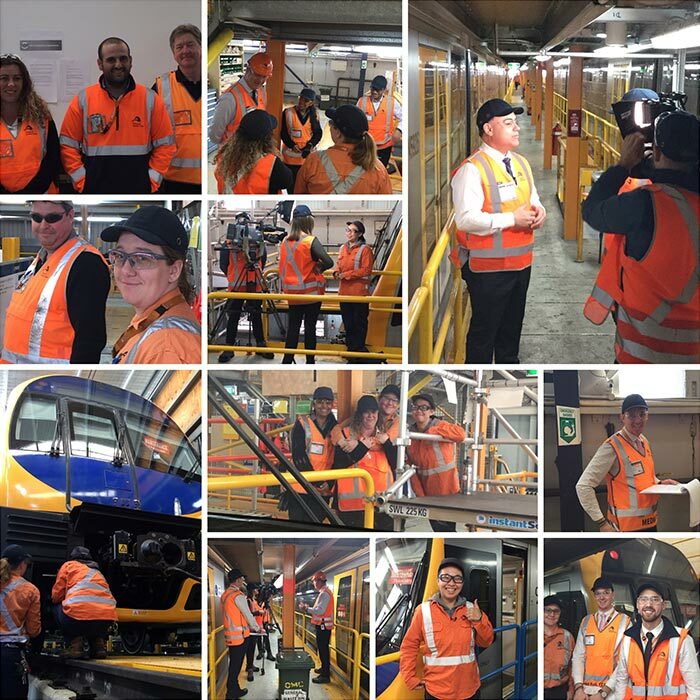 As the rail system is vital to the smooth running of any city, and the work brings with it special risks to human safety, Sydney Trains requires all candidates to undergo criminal record and medical checks. Working Hours: You will work 38 hours per week while completing your vocational qualification with a Registered Training Organisation. Sydney Trains advertises for apprentices each year on websites such as: I work for NSW, Transport for NSW Facebook, LinkedIn and Seek. Both current employees and external applicants may apply. 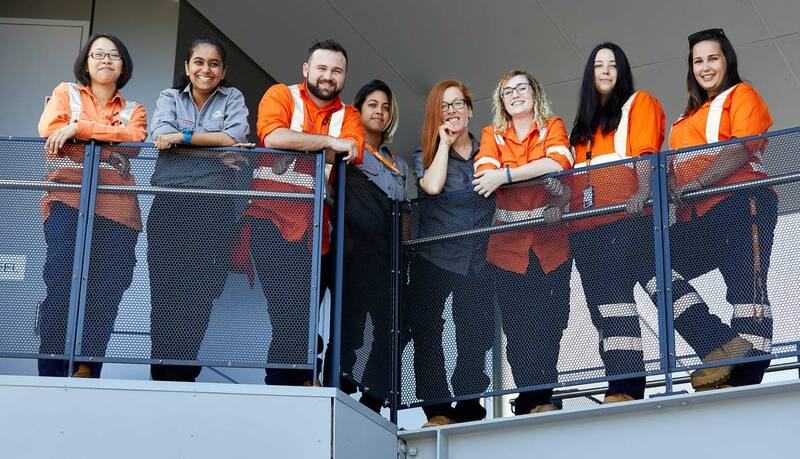 As Sydney Trains is an equal opportunity employer and values workforce diversity, people of all ages, genders and backgrounds are encouraged to apply. 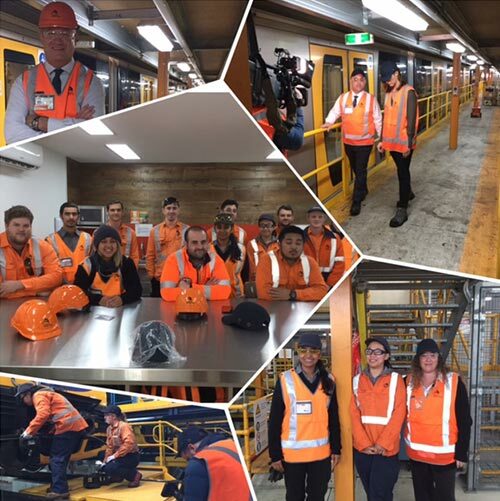 The Sydney Trains Apprentice Program is one of the best in Australia. Enjoy the variety and challengesof the work. Learn from our experts in the rail industry. Enjoy working with state-of-the-art technology. Earn above award apprentice rates. Gain national competencies to work across the industry. Explore our pathways into Engineering and Management. Gain the support you need with our ‘buddy system’. Explore NSW with free train travel. 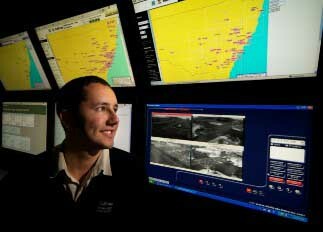 Gain the career stability of working for a NSW Government agency. Work for a dynamic organisation with a genuine commitment to apprenticeships.